Since 1985 Cra-Vac Industries Inc. has been leading the advancement of low-inclusion pellet binders. Through many years of experience, product research and mill trial evaluation, Cra-Vac Industries Inc. has developed pellet binders and feed additives to suit the needs of modern feed manufacturers. Keeping ahead of trends in feed manufacturing, we always deliver high quality feed binders which give producers a competitive advantage. In addition to providing our customers with high-quality feed options, we offer on-site guidance and troubleshooting. We are the only binder manufacturer in North America that you can count on to visit your mill and provide solutions to any feed quality issues you may be facing. Cra-Vac experts are able to conduct on-site audits, generate mill reports and perform tests which measure your feed quality. We will look at all the factors that affect feed quality in the mill, not just pellet binders. 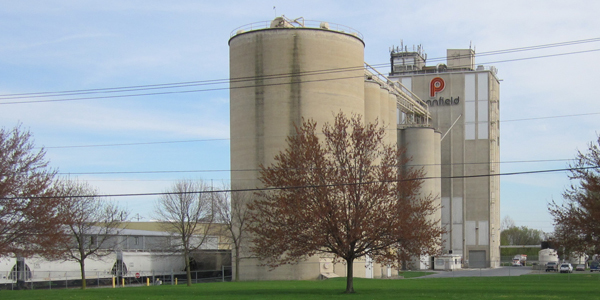 Our on-site mill audits with quantitative reporting will cover your current situation and outline a corrective action report to help bring success to your feed products. At Cra-Vac Industries Inc. we do much more than just supply feed binders, we provide quality feed solutions which leave our clients with a competitive edge.